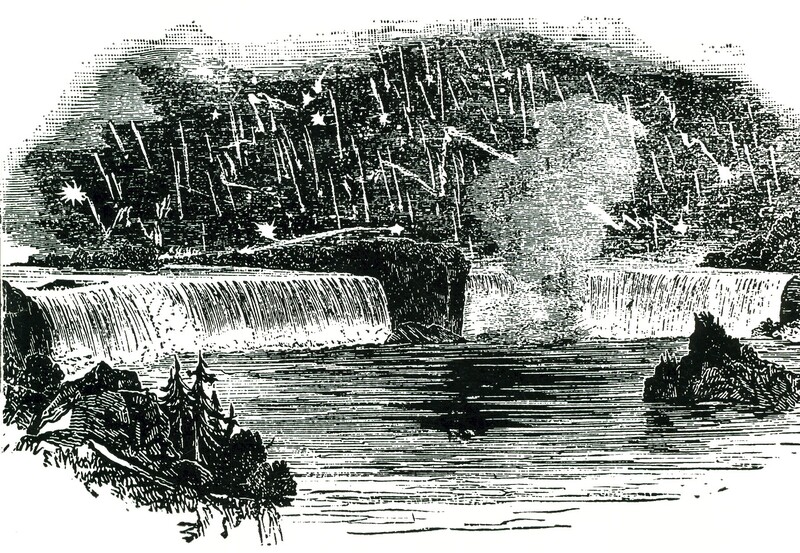 Woodcut of Leonid meteor shower over Niagara Falls, November 1833. This reproduction appeared on the front cover of Astronomy in Canada. See also: Canada and the 1833 Leonids, Clark Muir, JRASC, April 2014.